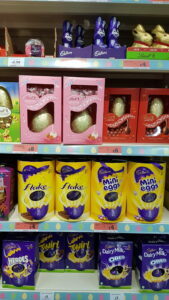 Remember to keep chocolate treats safely away from your pets’ reach this Easter, as findings released by the British Veterinary Association (BVA) reveal that in the North West 65% of vets saw at least one case of chocolate poisoning in pets over Easter holidays in 2017. Chocolate can be highly poisonous to pets, with dogs most commonly affected. It contains theobromine, a naturally occurring chemical found in cocoa beans, which, while fine for humans, is harmful to dogs and other animals. The level of toxicity is dependent on the type of chocolate – dark chocolate and cocoa powder are most toxic – and the size of the dog, with smaller dogs and puppies being most at risk where the quantity consumed relative to bodyweight may be greater. Dogs with pre existing heart disease and dogs on some drugs can also be higher risk and there is a genetic risk increase in a small number of animals. 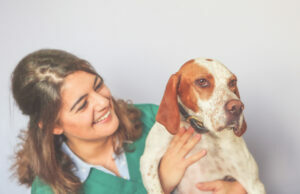 Although awareness about chocolate poisoning is increasing amongst pet owners, BVA’s figures show that the majority of vets still see urgent cases because chocolate treats have not been secured out of reach. “Easter is great fun for the whole family, but chocolate treats for humans can be poisonous for our pets. Dogs have a keen sense of smell and can easily sniff out chocolate, so make sure it is stored securely out of reach of inquisitive noses to avoid an emergency trip to the vet. The effects of chocolate poisoning in dogs usually appear within 12 hours, but can occur within 2 hours, and can last up to three days. First signs can include excessive thirst, vomiting, diarrhoea and restlessness. These symptoms can then develop into hyperactivity, tremors, abnormal heart rate, hyperthermia and rapid breathing. In severe cases, dogs can experience fits and heartbeat irregularities and some cases can result in coma or death. Treatments vary, we can tell from the type of chocolate eaten and the size of the dog what the likely risk is. The best treatment if the chocolate has been eaten recently is to make the pet vomit up what they have had. We have an injection that does this very effectively. If we are too late for vomiting to be effective then we can use activated charcoal to decrease your pets ability to absorb the poison. On top of this we may need to put him or her on a drip and use medicines to control any effects on the heart. Have a great Easter weekend, but keep an eye on that chocolate!